A spectacular aerial photograph of Festival Park has been donated to Staffordshire Chambers of Commerce by professional Drone Pilot, Nigel Woodcock. 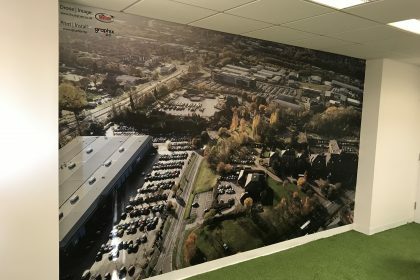 Nigel, of The Sky Cam North Staffordshire, teamed up with print, design and signage specialists Graphix to cover a large expanse of wall at Commerce House with the 3,975mm x 2,300mm image. Nigel said: “The photo clearly shows Commerce House and the expanse of Festival Park. It is fascinating to see how the expanse of office and retail buildings have grown on land that once housed Shelton Bar steelworks. 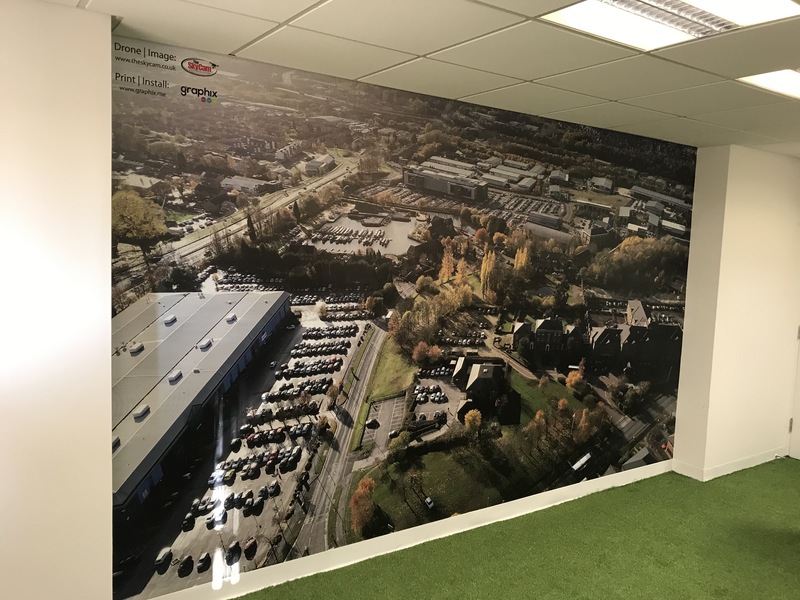 Nigel was originally going to offer a framed print to Staffordshire Chambers but after telling Steve Ward, Managing Director, of Graphix about the photo, the project grew in size.